The air filters of gas turbines at power plants eventually get clogged with particulate matter and sludge, decreasing operating efficiency and power generation. Turbine filters must be monitored for cleaning or replacement as required. An ideal solution is to use a differential pressure transducer to measure filter load by continuously monitoring the pressure on both sides of the filter. Gas turbines are essential in modern power generation systems. Fuel, such as natural gas, is injected into the combustion chamber, where it mixes with pressurized air and combusts when ignited. The force of the combustion rotates the turbine’s blades. The blades drive the compressor, which pressurizes additional air it directs into the combustion chamber, and also spin a generator to create electricity. Since a gas turbine requires particulate-free air as well as fuel, air filters play an important role in power generation. At the same time, they can create a liability, as blocked filters result in pressure loss, reduce power output (by as much as 10%), and, if not rectified, can shorten the operational lifetime of the turbine. Even when the filter is brand new, its mere presence creates a drop in pressure as ambient air flows through it. As the filter collects particulates, moisture, or sludge, the pressure drops even more. It does not take long for a filter to become dirty. For example, a 150 MW gas turbine in an industrial area, where airborne particles are >10ppm, could intake up to 100 lbs. of particulates daily. When a dirty filter causes the pressure to drop below a certain limit, it needs to be pulse cleaned (in a self-cleaning system) or replaced (in a non-self-cleaning system). Power plants, therefore, need accurate pressure measurement devices to monitor pressure loss. A differential pressure transducer is ideal for this application. Filter manufacturers provide two pressure-loss values: 1) the value when it is first installed and 2) the value when it is “fully loaded” and should be replaced or cleaned. Pressure loss should be monitored continuously so the process engineer has a time history of the filter. This data is valuable in determining the various factors impacting the performance of the filter. For example, if the time history shows a sharp increase in pressure loss one morning when fog is present, this suggests the filter is made of a material that does not perform well in the presence of moisture. 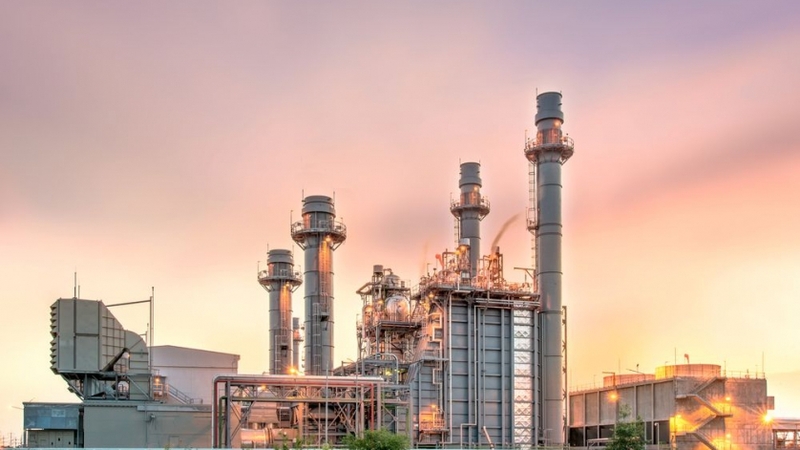 In damp climates, switching to a more moisture-resistant filter could make a notable difference in the operating efficiency of a gas turbine as well as reduce replacement filter and labor costs. Continuous monitoring also allows the engineer to determine whether a gas turbine’s poor performance is due to a clogged filter or some other reason. And, of course, by keeping an eye on pressure loss, the engineer will know when it is time to replace or clean the filters. Differential pressure transducers and DP transmitters, which send readings to remote locations, are commonly used in gas turbines. These small devices measure the pressure on both sides of the filter, and then report the difference as the pressure loss. At most facilities, both high-pressure and low-pressure events will trigger an alarm in the control system. High-pressure events typically occur when a filter is fully loaded or entrained with moisture. Most low-pressure events relate to tears or material failure of the filter media, or leakage through the filtration system seals. Shutdown alarms are also common when the pressure loss becomes excessively high, as a completely blocked filter can lead turbine components to overheat and become damaged. Tecsis, a WIKA subsidiary, produces the popular Model SP007 differential pressure transmitter. With a 0-10” wc range, it is used for filter monitoring in new turbines produced by a major turbine manufacturer, and it receives consistently positive reviews for its reliability and flexibility of installation. The Tecsis SP0007 transmitter has a small footprint, so it can fit in tight spaces on compactly designed gas turbine skids. It is also relatively lightweight, adding flexibility for custom installations based on client requirements. Minimizing pressure loss at the filters allows for optimal cooling and operation of the turbine. Industry calculations estimate that reducing pressure losses can lead to a savings of over US$300,000/year for a 150MW gas turbine. WIKA’s knowledgeable technical support staff can answer any questions you have about differential pressure measurement or applications for the Tecsis Model SP007 transmitter.